TMR is reporting that a Nissan GT-R with Toshio Suzuki at the helm set a 7:27.56 Nurburgring time. 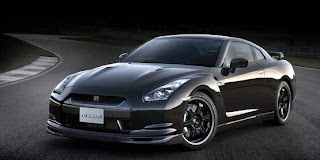 The car was said to be a standard issue 2009(2010 MY US) Nissan GT-R with Spec V wheels. Why did they decide to use Spec V wheels ? Interesting question, that poses more questions than answers. Nissan’s obviously gunning for the Corvette ZR-1’s 7:26.4 lap, but will it make it? The company says sections of the track were compromised by dust and sand that had found its way onto the tarmac, so pending better conditions the GT-R’s newly-set lap record may be a short-lived one. Thanks, your warranty is now void. Thanks for sharing your comment, Although you have no clue about what your talking about, or probably didn't read the article. Lets see a showroom stock one in action please, or a privately owned car, bone stock. Nobody was able to verify the 7:29 run in the first place. It is impressive, but Nissan's credibility is in question from the first round, and it still is in question. Yet again they bring their own car...a few outsiders will have no way of verifying that the car is not a ringer. Why has no one but Nissan been able to extract these amazing times from "stock" cars?